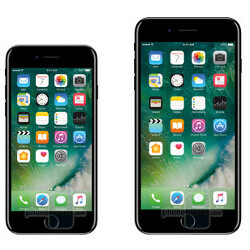 While many keen early adopters will have attempted to grab the just-launched iPhone 7 and iPhone 7 Plus already, other prospective buyers will be waiting for the proverbial dust to settle. After all, those niggling teething issues with new hardware can often prove disruptive, and you've only to look at Samsung's catastrophic Galaxy Note 7 launch for a case in point. While the iPhone 7 duo don't appear to have been affected by exploding batteries, some owners of Apple's new flagships have found they can get rather noisy under heavy load. The sound, described by some as a hiss or screech, has drawn comparisons to how a computer's CPU / fan can begin to whirr when pushed to the edge. It's as yet undetermined whether this is an outright defect with some models, or simply a drawback of Apple's new A10 Fusion silicon. Perhaps, although seemingly unlikely, Intel's LTE modem chips could have something to do with the mysterious noise. That, as you'll probably agree, is quite a loud noise. Though we're accustomed to hearing such sounds from notebooks and traditional PCs, mobile devices tend to go about their business a little more quietly. As aforementioned, it's not yet known if this is a fault, or whether the iPhone 7 / 7 Plus will simply make noises when the processor is pushed hard. iPhone 7 / 7 Plus owners — has your device been a smidgen noisier than you expected? Let us know in the comments. Awww... Aren't you cute, Nathan Boy...? (Pretends to pull your cheeks)... A fuse being lit, eh? Yeah, at least iPhones use a proper fuse, give them their rightful credit... Unlike Samsung which explode like a time bomb... At any time, at their own leisure...! Bombs with fuse over random time bombs any day...! And... G'Day! Time bomb doesnt explode randomly. thats why it's called a "TIME" bomb. jeez. Well, maybe they decided to copy Samsung again. I thought they were going to wait until the iPhone 8 to make an explosive new device, but I guess they have to keep up. Come on everyone is only heat expansion noises, especially since this is the first time Apple used 4 cores. Those noise's are just the glue and other sealants burning off. Nothing to worry here. Oh wait, what happens when all the stuff is burnt off? Quote: "Oh wait, what happens when all the stuff is burnt off" BOOM! Then followed by the #boomgate denial, and lawsuits later on. This is their quality sound via crappy lightning! It's funny already. No need to be said twice. :P Deal with it. What correlation does post #13 and #44 have with Samsung? Use the sense God gave you, and stop deflecting. Weren't you on all the Note 7 articles with all your jokes and stuff? You can't take it now? Let's see how it gets handled. Apparently apple also have problems QA on their products. That is comparable. "presenting the All New iFan to cool the chip from blowing up (ala Samsung)"... At least Apple is providing a fan... Your Samsung gave us NOTHING like that to keep the "reactor" cool...! Neither they provided a fan as an accessory...! G'Day! I have a Note 7. Things happen you cant control. WhT we which is for people to not troll, especially when Apple is the only oem one in history for one product which they only make one of every year, each year they have an issue with a new device. All there first iPhone ovwrheates an discolored the case. Every single moswl has had connection issue. IPhone 4,5,6 and now 7 all have had or have a problem. Samsung makes over 50 phones and only one has a problem Who has a better track record? Those are the facts. loollllllll... this is too funny!!! Sounds like defective components, dangerously high voltage or improperly soldered components. I think it's just quietly crying cuz it misses the jack. Want to comment? Please Log in or sign up. Send a warning to Selected user. The user has 0 warnings currently. Next warning will result in ban! New T-Mobile to 'lower prices' vs Verizon, what are the Sprint merger's odds? All content, features, and design are Copyright 2001-2019 PhoneArena.com. All rights reserved. Reproduction in whole or in part or in any form or medium without written permission is prohibited! This copy is for your personal, non-commercial use only. You can order presentation-ready copies for distribution to your colleagues, clients or customers at https://www.parsintl.com/phonearena or use the Reprints & Permissions tool that appears at the bottom of each web page. Visit https://www.parsintl.com/ for samples and additional information.